In light of the Greatbong's unprecedented landslide victory in the Indibloggies, the powers that be felt that winning an award (well actually, two) wasn't enough of an ego trip. So they decided that one should do an interview with him as well. Perhaps a more serious, 'getting to know the man behind the blog, his passions, his drive' type routine. Of course, if seriousness is what one wants, one shouldn't ask the resident flake of the blogosphere to do the interview. But now the deed has been done, and it's time for the public to pay the heavy price for it. So here you are. Styled after her idol K-Jo and his koffee, and channeling the I-will-get-husky-voiced-for-no-reason-at-all Simi aunty, here's Mutter with Megha. In conversation with Greatbong. M: Good evening! It is lovely to be back. Though the show has a new look (it is finally visible) the flavor of ‘Mutter with Megha’, much like this soup, remains unchanged — monochromatic, bland and with the inevitable queasiness of eating too much plant-protein. So let me introduce our guest for today — his intellectual humor and ability to quote Neruda has the ladies swooning, but this legend of the industry is a dedicated father and especially loves to take his kids on long trans-Atlantic plane journeys. Belying his macho image, he is gentle and romantic. Oops, sorry. Wrong script. Um, say hello to .. [looks down at paper] .. Greatbong. Ladies and gentlemen! The moment of truth has arrived. The Indiblogosphere has chosen a new band of winners from 175 worthy contenders across 21 varied categories. The final phase of Voting at the Indibloggies 2006 event witnessed over 3500 registrations with around 2235 votes cast over a week. The figures may be small, but being recognized as a blogger extraordinaire by your own community is no small an achievement. The first two phases of Indibloggies 2006 event, namely the open nominations and the Jury rating, are complete. Few raised eyebrows again on the process of nomination yet more than 700 nominations were made over the last 11 days. The Jury sure had a tough as well as enjoyable time browsing through the myriad flavors of writing and then rating them. I one again thank all the jurors for not only devoting their time and effort to the process but also for staying away from the competition, your help has indeed added more credibility to the awards. The Jury zeroed in on almost 290 blogs/sites, of which about 175 made it to the short-list that would participate in the final phase of the event, the public Poll. Here goes the complete list of nominees. Hearty Congratulations people! Sambhar Mafia - Cooked To Kill! Pratibimb - Abhijit's Photographic Reflections! 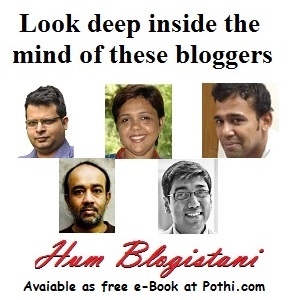 Note: Gujarati Blog nominations were not considered due to absence of the category juror. No nominations were received for Bengali Indic blog category.